This is a list of the LEGO Technic Car and Trucks sets that I have reviewed. Most of them are LEGO produced sets and some of them are my own creations. 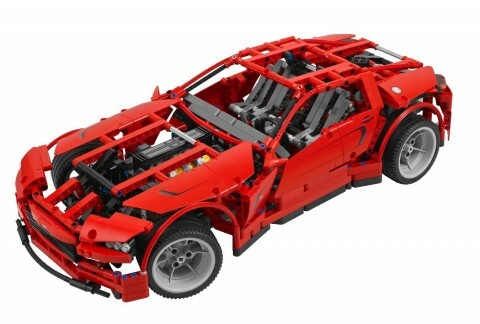 Creating cars with LEGO Technic is perhaps one of the most exciting aspects of the building game. There is so much room and freedom to build… you can build the fastest cars, the most versatile, the almighty 4×4 or just the best looking one. You are free to choose your own path. Once you learn how to do it and how to build them you will enjoy countless hours build, changing and building again. My favorite sets so far are Unimog, the 4×4 Crawler and the F1 Car. They are priceless experiences. I personally recommend you Sariel’s Unofficial LEGO Technic Guide because if you are new to Technic you will find that it is quite hard to build anything with them on your own.